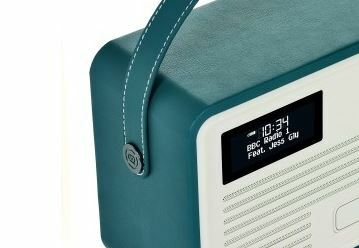 Wow, this VQ Retro Mk II radio is just gorgeous, a great gift idea or just a beautiful piece of tech that will look stunning in your home. 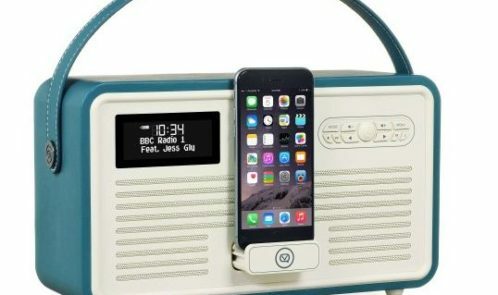 Currently the radio and rechargeable battery pack are a steal at £89.99 at Sainsbury’s stores – this bundle is usually a minimum of £120 so a decent saving, the battery pack which makes it portable alone being around £20 – £30. Check out PriceSpy to confirm. T he radio is huge and the guys at VQ were kind enough to send me one to review – dimensions are 30 x 11.5 x 20.5 cm, so – so I just used it as plugged in rather than using it as a portable radio. 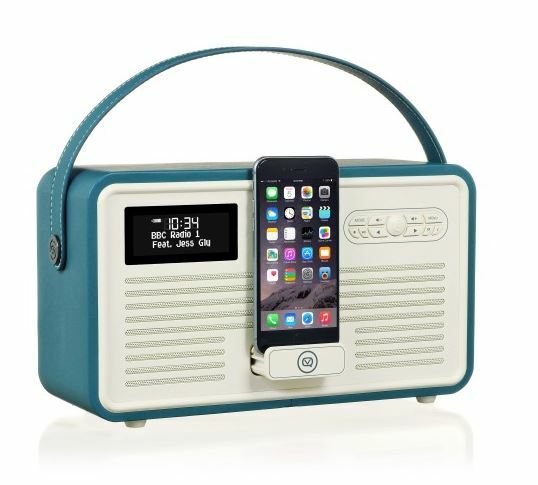 As well as being a DAB radio, it’s a handy and stylish docking station with an Apple lightning dock suitable to charge a lot of devices, including the iPhone 6, iPhone 5 series and tables such as the iPad mini. 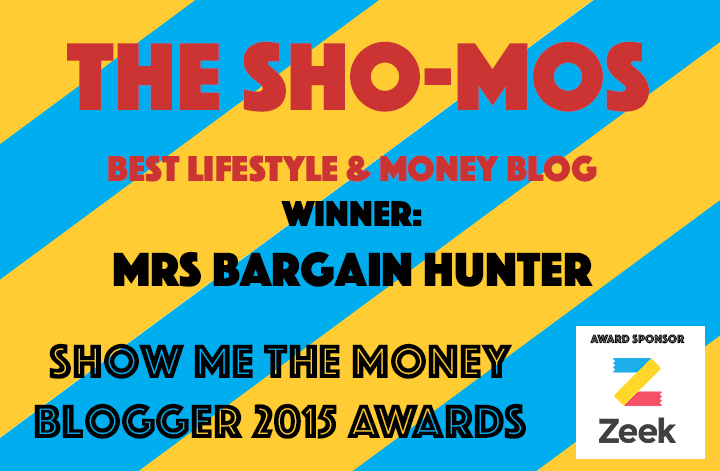 You are buying style when you purchase this award-winning radio. I got a blue leatherette one but there are 11 colours in total, so from muted browns to lilac shades, there should be something to appeal – the carrying handle comes in the same colour too which is a lovely touch. The retro feel doesn’t mean that it’s only beautiful – it’s got quite a lot of lovely tech features, including dual 10 w stereo speakers and independent control of bass and treble (if you really want to use those!). Apple charging unit is hidden away nicely and comes out when you give it a little push. In terms of the radio, there are a huge number of channels to chose from. The sound wasn’t as loud as our black Dab radio, but the styling and the charging made up for that. I liked the dual alarm…I used it (when the radio was in the kitchen) unusally for alerting the kids to meal times…a bit of a novel way to use it, as I’m sure it’s supposed to be for waking people up. Made by a British company, the radio was in demand from the kids and Mr Bargain Hunter, so we have decided to put in our new room when it’s built, but in the meantime, it’s in our blue bedroom, after spending some time in the kitchen. The size of it takes up one whole bedside table (almost) so it’s an impressive looking radio/charging device. If you have missed this deal, here is a list of VQ stockists.